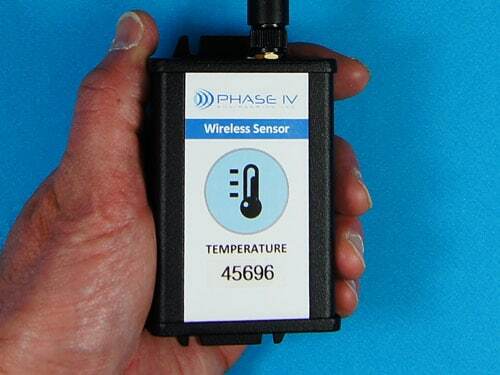 Repeater - Wireless Sensor Network (WSN) Sensor Range Expander - Phase IV Engineering Inc. 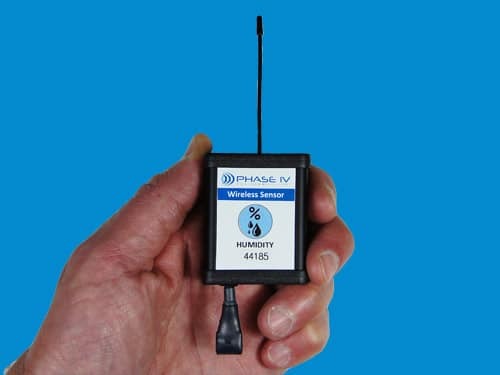 The WSN Repeater expands the range (transmission distance) between the sensor and the gateway. When a sensor is too far away for the signal to reach the gateway, a repeater can be plugged-in to a standard 120V wall socket to “bridge the distance” between the sensor(s) that are out of range from the gateway. 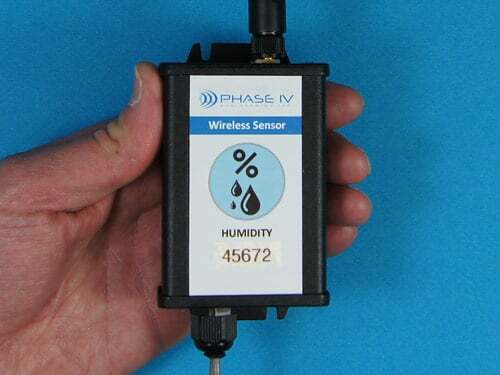 The repeater receives a signal from the sensor, then re-transmits the signal to the gateway – expanding the “reach” of the wireless sensor network. The whole repeater simply plugs into a 120V wall socket – not battery powered. 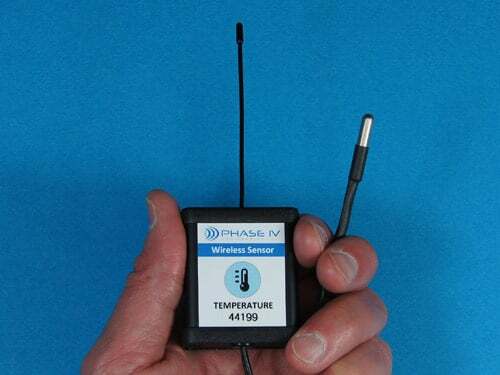 Just add the repeater to your wireless sensor system – just like a WSN sensor. Input the ID# and sensor code (from the sticker on the repeater), plug it in the wall, and it is up and running. Each repeater can support 100 WSN sensors. The repeater can store over 20,000 sensor messages if the link to the gateway is temporarily lost. Comes with FCC and IC certification. LED on the front of the repeater gives a status. The repeater adds a delay of ~20 seconds. If the repeater needs to process more than 6 sensor transmissions a minute, the passing of the data may be delayed beyond 20 seconds.